I have heard that new ads are out and insinuating people will somehow feel richer merely by inhaling mysterious blends of chemicals. Please don’t be fooled. Seriously. They fail to mention that your neighbors who get migraines may think that the “scent enhancement” emanating from your dryer vent (which was designed to emit moisture, not chemicals) is not such a good thing for them, their asthmatic children, or for their aging parents who have lung disease and whose window is yards from your vent. Apparently we also don’t deserve to know what we’d be inhaling if we use these things! P&G will only refer us to the self-regulated fragrance industry’s voluntarily disclosed list of over 3000 ingredients, most of which are petroleum derived. (Scroll down for a PDF of the list, which took quite a bit of sleuthing around their other website to find). Those chemicals include, among other things, known carcinogens, endocrine disruptors (chemicals that mess with your hormones), and neurotoxins, plus the concoctions can have the same effects on some people as (illegal) drugs have. 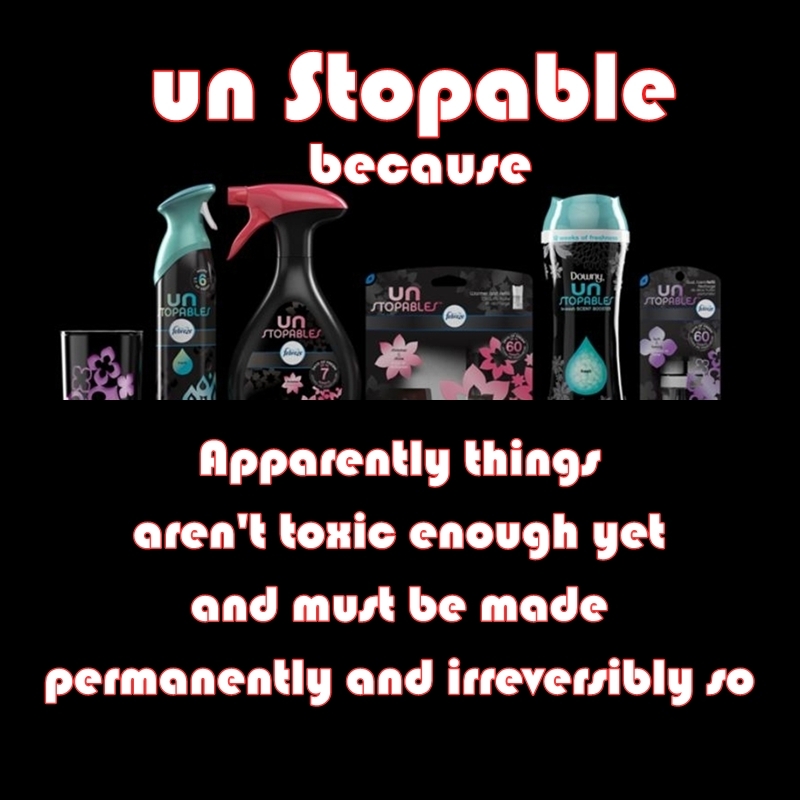 They can cause immediate short term and /or long lasting future health harm to anyone who is exposed to them, and then, because they’re designed to be long-lasting, using special chemicals for the job, they can’t be removed from many of the things they’ve come in contact with. Why a company thinks it’s ok to do this to people and environments is beyond me. What do they mean by that? Delusions? Hallucinations? Doesn’t part of being a parent mean you need to remember to look after your children? Don’t child protection services remove kids from (lushes) who forget they have kids? Why pay money for expensive & illegal drugs when you can go to Walmart for these? Maybe so you can imagine that the hospital and health care bills will be paid for as you try to deal with all the new health problems you and your family have developed. 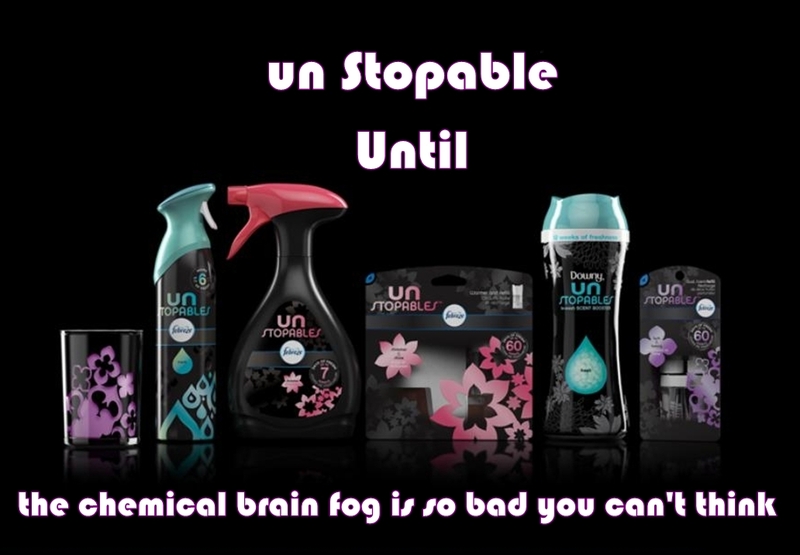 Because the chemical residues and brain damage can be irreversible! Yes, really. They can and they do. Did you know our bodies were not designed to be inhaling and absorbing petrochemicals? You may also need to cut your hair off, should you suddenly realize you are becoming disabled by the fumes. Maybe you like the look of buzz cuts (with the brain buzz)? One has to wonder what P&G is thinking by designing products with fragrance chemicals that cannot be removed. Surely they are not oblivious to the fact that more and more people are becoming allergic to, or even disabled by these products, and that fragrance-free policies are being enacted to protect people’s health and abilities? 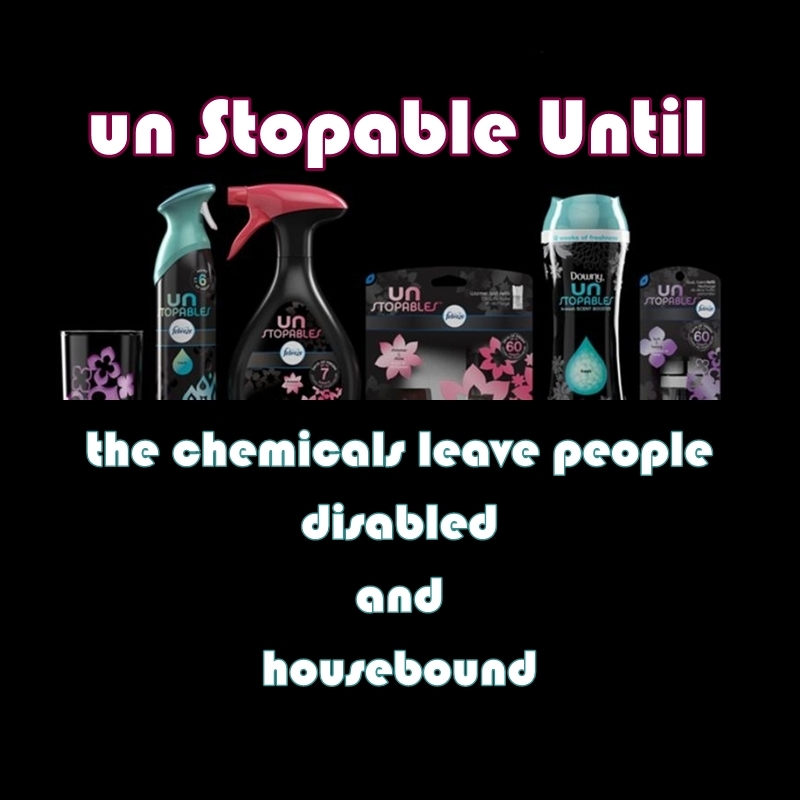 For those of us who are disabled by toxic chemicals, the products can create permanent barriers to access wherever their 1st, 2nd, or 3rd hand scent trails are deposited. 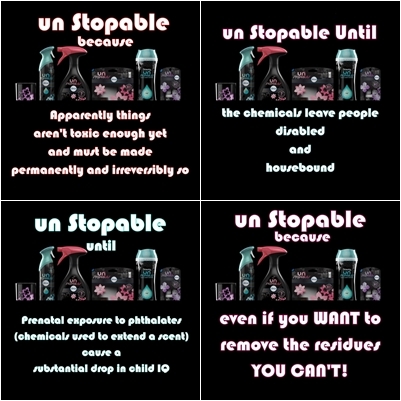 Should “users” or their children also become “sensitized” to, or otherwise adversely affected by the pollutants, there’s a good possibility they they will have to move from their now fragrance-chemical-contaminated home, discard all of their now contaminated possessions, and buy all new clothing and furnishings, because the unstoppable residues cannot be removed. 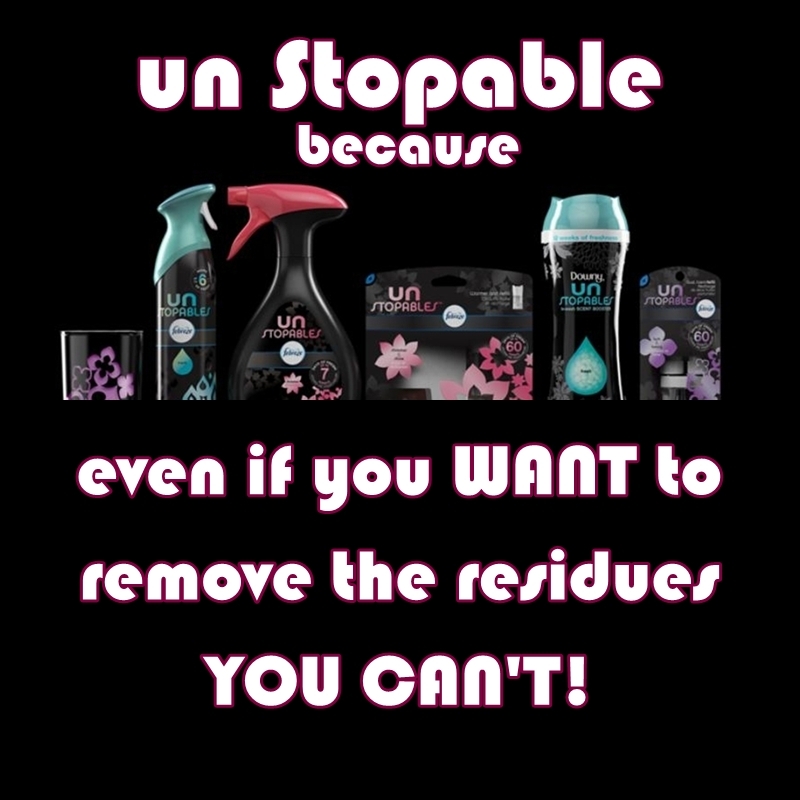 (I have yet to see anyone selling an effective fragrance-chemical removal product). And good luck finding places to move to that aren’t also polluted. When companies are so profit driven as to release products like these with no regard whatsoever to the health and well-being of their customers and all others who are subjected to the fumes, and they are allowed to get away with it because they have spent millions lobbying government regulators, I fear for the future. Humans will not survive being polluted like this for long. Nor will any other species who have the misfortune to eat the food, breathe the air, or drink the water this stuff gets into. It’s good for you. It’s good for me. This entry was posted in Accessibility, Air Quality, Brain, Environmental Health, Fibromyalgia, Fragrance, Health, Human Rights, Indoor Air Quality, Pollution, Products and tagged allergies, asthma, barriers to access, brain fog, brain injury, buzz, cancer, Chemicals, child health, cognitive problems, drugs, EDCs, Fragrance, fragrance-free policy, hazardous air pollutants, hormones, images, impaired, inhalants, laundry, luxurious scent, MCS, MCS/ES, petrochemicals, phthalates, toxic chemicals, toxic trespass. Bookmark the permalink. My husband got MCS Dec. 10, 2014. I was disgusted to see the commercials for this product as well. He is taking walks in the neighborhood and also experiencing people’s obnoxiously scented laundry products wafting from their garages. It is sad what is happening. Did your husband suffer a serious one time exposure or was it a series of exposures? 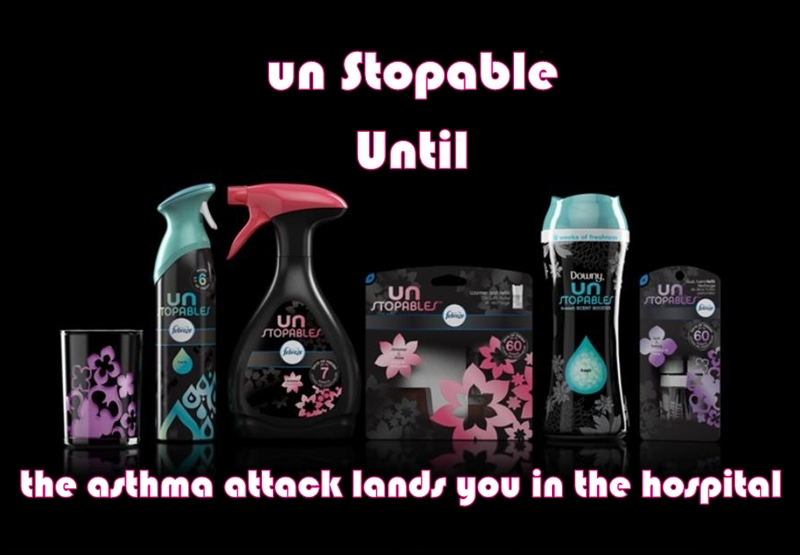 These products are being marketed in really sad ways… I don’t judge products or scents aside from their toxicity. Even pleasant smelling fragrances can be totally toxic. 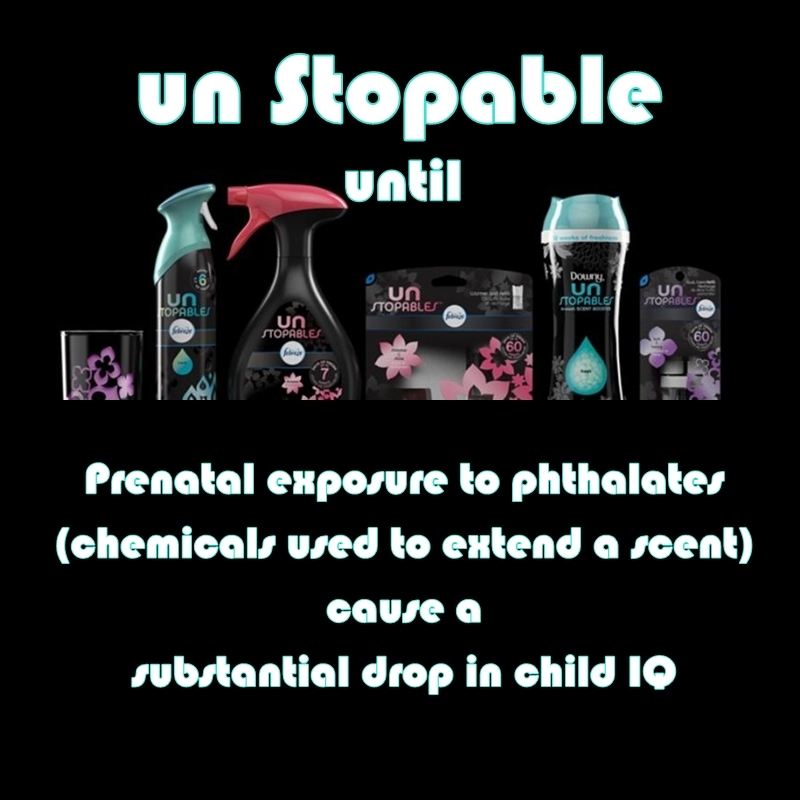 Everyday products and materials should not be made with toxic chemicals that harm people’s health and pollute the environment we all depend on for life!